Miami (AFP) – US teen golf prodigy Akshay Bhatia makes his PGA Tour debut Thursday at the Valspar Championship with plans to turn professional later this year after a groundbreaking amateur career. The lanky 17-year-old lefthander from North Carolina starts in the last group off the 10th tee at the Innisbrook Copperhead course in Palm Harbor, Florida, thanks to a sponsor’s exemption. 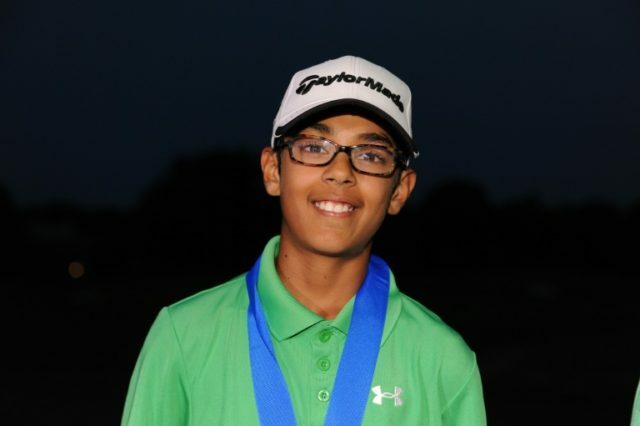 Bhatia, who wears thick-rimmed glasses, took a silver medal at last year’s Youth Olympic Games in Buenos Aires, helped the 2018 US team win the Junior Ryder Cup over Europe and won the 2017 and 2018 Boys Junior PGA Championship. In 2017, he won by three strokes, shooting a course-record 61 and breaking the old 72-hole tournament record by five strokes. Last year he holed a 40-foot chip for eagle to win by a shot. Bhatia, ranked eighth on the world amateur list, won the Jones Cup last month in a playoff and captured the Dustin Johnson World Junior Championship earlier this month in South Carolina, where he’s booked into the RSM Classic later this year. Bhatia, who learned the game watching his older sister Rhea, hopes to become the first US high school player in September’s Walker Cup, the amateur version of the Ryder Cup, then turn professional. “I think I have a pretty good game plan as far as turning pro and my scheduling going forward,” he said.